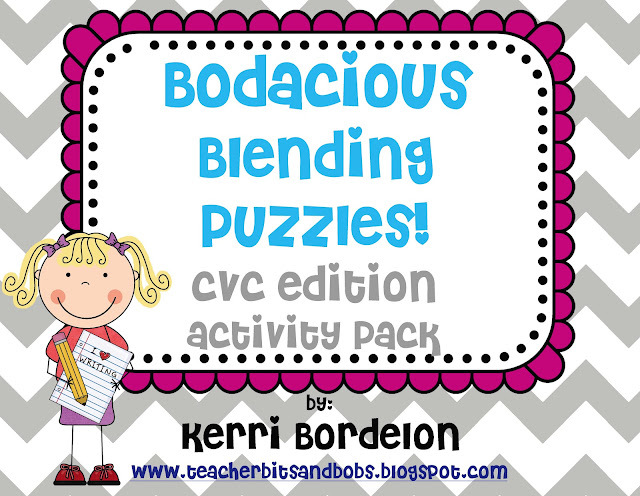 Blog Hoppin': Bodacious Blending Puzzles!! 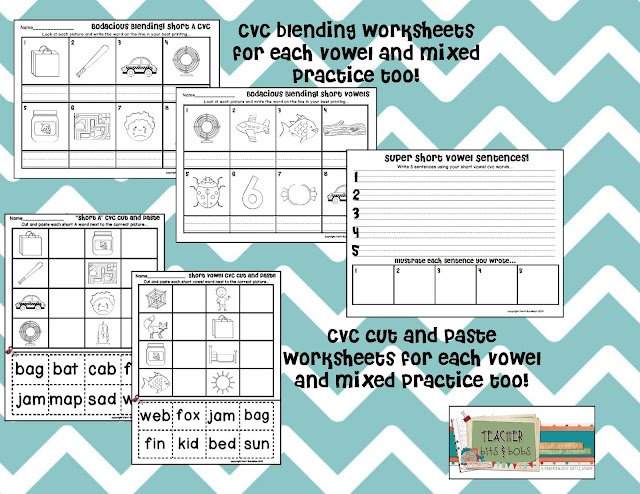 Well, when I saw Ashley Hughe's AMAZING CVC picture bundle on TPT...I about DIED! I mean, honestly! Isn't this the most glorious thing you have ever seen?? When I think of all the CVC picture cutting and pasting I did way back when...well, it's just pathetic! Ashley's CVC pictures made me want to teach Kindergarten again!! Well, okay, they ALMOST made me want to teach Kinder again... but then I remembered that these would be PERFECT for my Firsties at the beginning of the year, so I quickly purchased them and got to makin'!! This pack is PERFECT for all you Kinder teachers at this point in the year, and for all of us Firsties out there, these puzzles are perfect for the beginning of the year OR for your kidlets who need a little intervention practice right now! 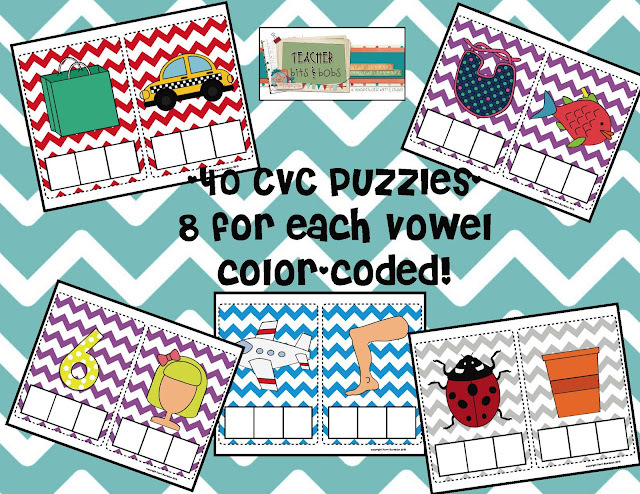 If you are interested in checking this CVC blending pack out and letting your kiddos blend CVC's until the cows come home, then click on any picture above to go to my TPT store! Thanks for letting me share, friends!! 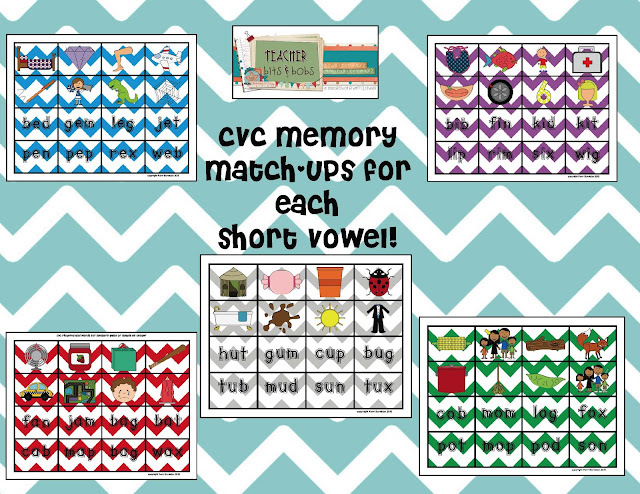 These look amazing Kerri and such perfect practice for firsties and kinders! They can even do them independently-we love that!!! Thanks for sharing. This looks great! I was eyeing her bundle too!! !